Last Sunday in Edmonds. We love to come here because it's only a 20-minute drive from Mill Creek. 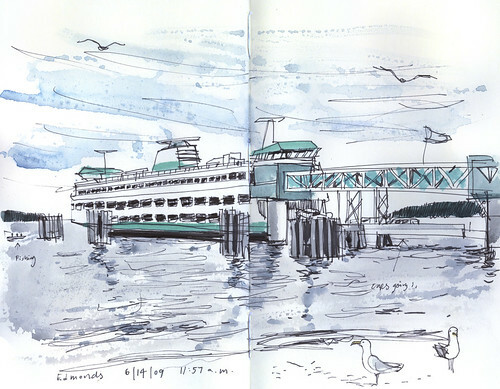 It's very relaxing to watch the ferries go by! gorgeous! feels breezy, just like being there! This is cool, Gabi. The blue/green palette is perfect to reflect your relaxed mood. I also like how you captured the moving water!